Originally, she had joined a mixed football team not far from where we live. They called it a mixed team but it was nearly all boys except for two girls; my daughter and another girl who rarely showed up. Consequently, for the six to eight weeks that Isla was attending practice, the ball was never passed to her and she showed no improvement. Nobody showed any interest in developing her as part of the team. Isla left that team and went over to Farsley Celtic Football Club, an all-girl team, where she was welcomed with open arms. Since then, she has been flying and today’s hat-trick is just the latest in a series of achievements. A few weeks ago, she was named “Player of the match”. It is clear to me that the first team missed a trick. Their coach failed to see Isla’s potential which makes me wonder if that is why the other girl rarely turned up for training. If all the coach could see was “a girl” rather than a player then it is unsurprising that the boys would not acknowledge girls as part of the team. 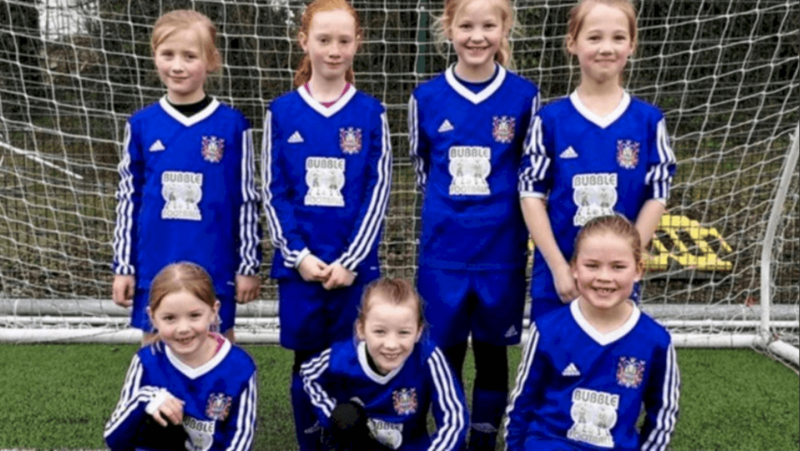 While I am delighted with Isla’s performance and the fact that she is loving it with her new team, it is disappointing that she had to move to an all-girl team to be fully accepted. It strikes me that this is also going on in the corporate world we live in. There are many organisations that are embracing a policy of gender equality, inclusion and diversity, pooling together talent from wherever they can find it. But there are also too many other organisations that show a distinctive lack of diversity. I came very close to being written off by society, having been raised in poverty on a council estate, surrounded by drink and drugs. It was only after I had spent time in prison, because of a drug offence, that I finally reclaimed full responsibility of my life and managed to build a life for myself. I know I am one of the lucky ones. Most people who grow up in deprived areas are not able to climb up the socioeconomic ladder. I recently did a little research into this online and I was so saddened by the statistics that I wrote an article on social mobility. Over the years, a lot of my work has revolved around inspiring and developing teams and individuals to overcome their own self-limiting beliefs and to step out of their comfort zones. As people, we must never allow ourselves to limit our own potential, even if others might. Leaders also have a responsibility to build the most effective teams for their organisations. That means recruiting, training and developing the most talented individuals from all walks of life, regardless of social class, religion, race, culture, sexuality or gender. Don’t let your organisation overlook the player of the match!